Schools are often the civic heart of communities, particularly in rural areas, and can be a launching pad for its students. The strength of rural communities and the prospects for their children can depend heavily on the offerings and quality of their schools. John W. Sipple, associate professor in the Department of Development Sociology. The National Center for Rural Education Research Networks (NCRERN), announced Feb. 6, will establish and support a network of 60 school districts in New York and Ohio, as scholars work to address challenges facing rural schools. John W. Sipple, associate professor in the Department of Development Sociology in the College of Agriculture and Life Sciences, joins scholars from Harvard and Dartmouth, plus state government officials in New York and Ohio, in NCRERN. The center, hosted by the Center for Education Policy Research at Harvard (CEPR), will be funded by a $10 million grant from the Institute of Education Sciences at the U.S. Department of Education, and will develop and facilitate the formation of networks connecting 60 rural school districts in New York and Ohio. According to Sipple, in New York state more than 400,000 students are served in about 325 rural school districts, but there’s a lack of research into how well these districts are meeting the needs of their students. Sipple brings to the center 20 years of direct service to rural school leaders and state officials through the Rural Schools Association of New York State, and 10 years of supporting state and local leaders in data use and visualization through the New York State Center for Rural Schools. His work will link New York state rural school districts into the center’s five-year set of interventions and formal evaluation. Districts will participate in Harvard-developed interventions related to chronic absenteeism, college readiness and college enrollment. The initiative also will examine how data can be collected, visualized and used by state, regional and local leaders to monitor and evaluate progress toward these goals. Sipple will be involved in selecting sites, supporting data use and visualization needs of state and local officials, and consulting with CEPR as it conducts the formal evaluation of the interventions. 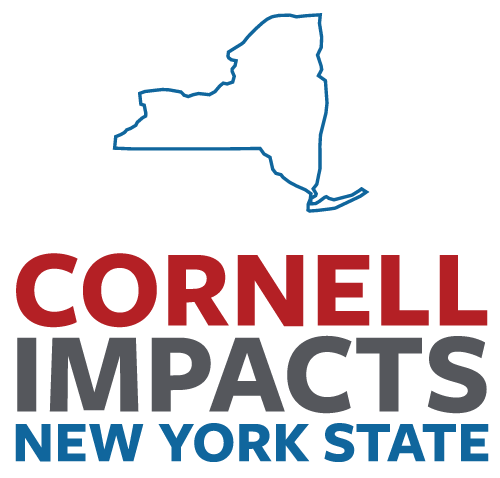 The research will build on the momentum of Sipple’s efforts in developing the New York State Education Data and Research Hub, which creates accessible data-based tools that school districts can use to improve on and understand measures of student success. School districts can apply to become one of the 30 districts in the study beginning in April. More information can be found on the project’s website. Christian Elliott is a program and communications associate in the Department of Development Sociology.